Last week I toured a part of central India known in pre-independence times as the Central Provinces. 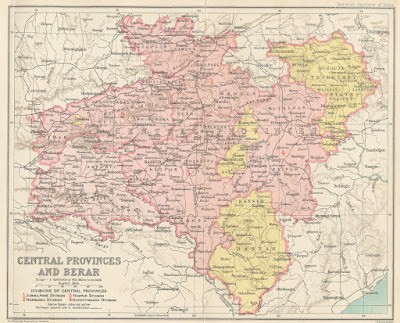 This area, comprising parts of present day Madhya Pradesh, Chhattisgarh and Maharashtra, was a province of British India. The capital was Nagpur and it was officially named the ‘Central Provinces and Berar’ in 1936. This was the hot arid Indian heartland, covered in most parts by thick jungles and populated mostly by diverse tribes. This was a remote underdeveloped region with few towns or roads. This area was gradually opened up as the British built a railway line from Calcutta in the east to Bombay in the west. The local inhabitants were largely left to themselves, comfortable in their rudimentary bucolic lifestyle. It did not take long for the British to realise the value of the timber in these parts. The two most precious timber species were Teak (Tectona grandis) and Saal (Shorea robusta) and these were felled in great quantities. The rapid deforestation of this part continued for a few decades till after Independence in 1947. It was only in the 1960s that the government began to sit up and take notice of the unfolding ecological disaster. The problem with rampant felling was the environmental degradation that inevitably followed as much of this land is arid and in many parts rocky. Natural rejuvenation is slow and forestry an arduous process. 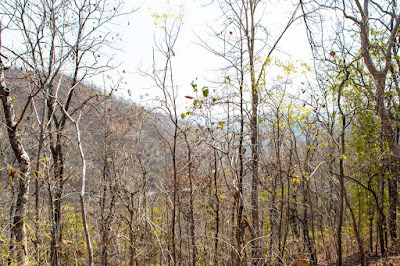 In recent decades a lot of effort has gone into conservation and I was pleased to see natural growth forests gradually beginning to reclaim large tracts of dusty, red earth country. In the first leg of my journey, I flew into Raipur, the capital of Chhattisgarh, and then drove up to Dongargarh on the edge of a reserve forest. This was Gond country at one time but steady migration from Maharashtra, Bihar and other states has turned the aboriginal tribals into a minority. From Dongargarh, I drove through forest covered ghats of the Satpura Range into Madhya Pradesh where there are several large patches of protected forests including the Pench and Kanha National reserves. 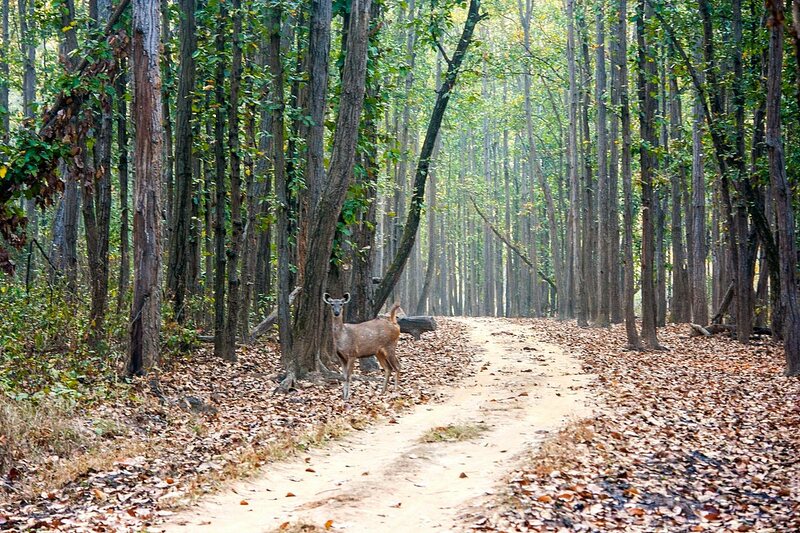 Kanha is dominated by natural growth Saal forests while Pench mostly has Teak. These forests have a wealth of other species including many renowned for their timber or medicinal properties. My interest, apart from sighting tigers, was on timber produced in this area. I therefore visited a couple of government run timber depots in the region. The one in Chhattisgarh was of particular interest because I was introduced to a few species I had never heard of before. Moreover, no timber is allowed to be harvested in protected forests. In Kanha I spotted hundreds of dead trees lying as they had fallen. These will slowly rot or be eaten by termites. They will not be carried outside the reserve. Similarly, no planting is allowed in these places as the forest must naturally rejuvenate itself and the cycle of germination, growth and death must take its own course. This allows for more biodiversity and natural selection. Things are somewhat different in Chhattisgarh where human intervention has been necessary in many parts to re-grow forests. Even here though, in many parts the jungles are being left to themselves. Dead or dying trees, however, removed periodically and timber harvested. These trees are cut, trimmed, sorted and sold in open auctions by the state forest department. Teak from this region is classified as CP (Central Provinces) teak, which is a favourite in north India. The locals claim that the Teak from the hills of Chhattisgarh is superior to the ones grown on the plains or near rivers. They say that the mineral content of this Teak is higher and this apparently provides a better look to the wood when finished. While Teak remains a favourite, there are a number of other varieties of lesser known timber worth investigating. 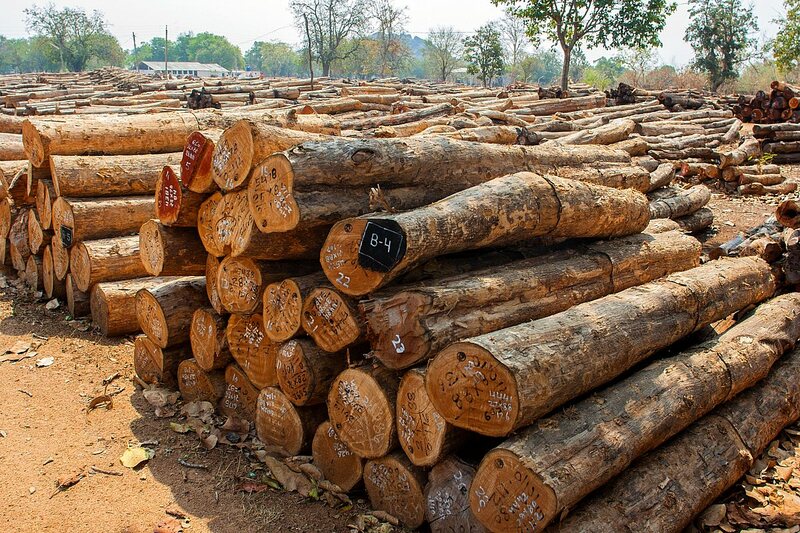 Some of the local species useful for their timber include Bija (Pterocarpus marsupium), Saja (Terminalia tomentosa), Dhawra (Anogeissus latifolia), Mahua (Madhuca indica), Tendu (Diospyros melanoxylon), Karra (Cleistanthus collinus), and bamboo (Dendrocalamus strictus). Other species which I could not identify are Salai, Mondeh, Birah, Kusum, Harra, Bahara, Khair and Gatha. Listed below are some of the lesser known species along with a little of what I could learn about them. After leaving Kanha in Madhya Pradesh, I drove through the thick Saal forests on its southern boundaries and crossed many miles of undulating landscape denuded of trees. 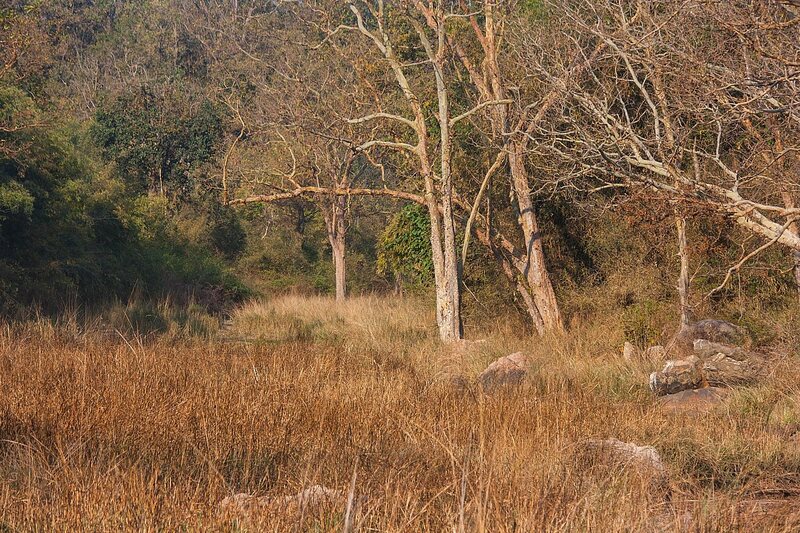 From there headed back to Chhattisgarh via another stretch of protected forests on the Satpura range called Chilpi. South of this range there is very little forest as industry rapidly expands outwards from the capital Raipur and the steel town of Bhilai. 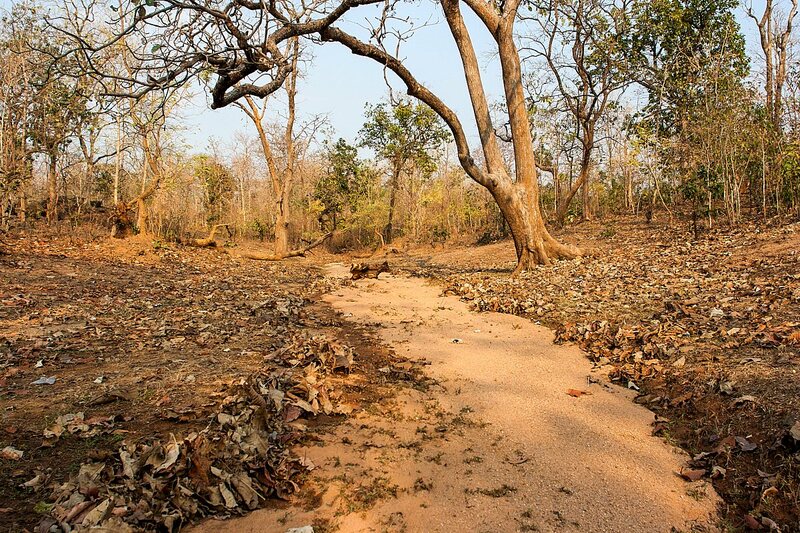 Chhattisgarh and Madhya Pradesh are among the fastest growing states in the country and as urbanisation speeds up, some parts of the countryside will lose populations while in other parts forests will be consumed by urban creep. Right now though there are miles and miles of forests which will yield timber for decades if the exploitative process in kept within sustainable limits. A wonderful post! There are so many varieties of local timber available. I think there must be a move to treat wood judiciously. Just because I can afford it, shouldn't mean I should waste it. I also wish people make an effort to move away from teak and explore various other varieties of wood. Manoj, I have an electric planer but I find it difficult to control. It is a very powerful machine but it hogs off a lot of material. It is useful for rough planing but not for cabinetry. For a beginner, I suggest you get your wood planed in a lumber store or by a carpenter. Get a couple of good planes and practice sharpening; in a few months time you would be comfortable with a hand plane. Very interesting article. Thank you for sharing your travel experiences. 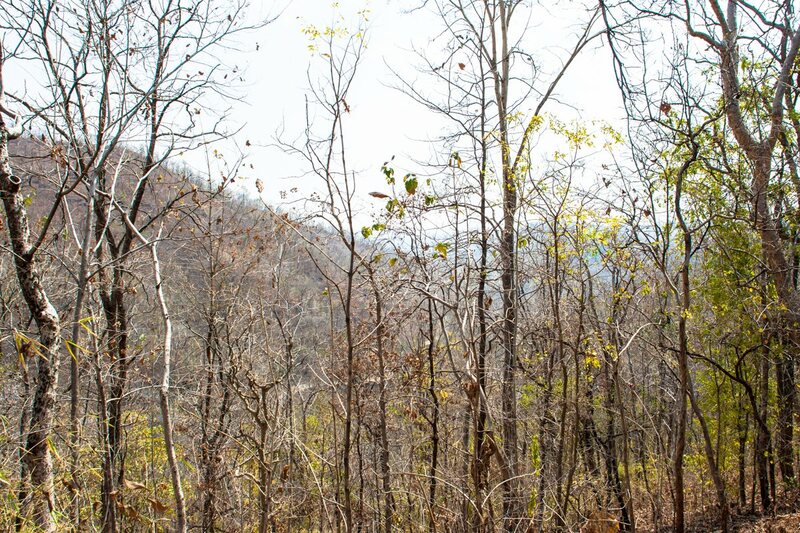 It is heartening to know that India still has significant natural forest cover and sustainable timber supply.